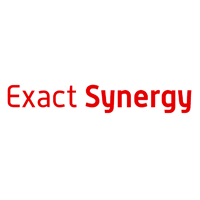 If you need to create an invoice in Exact Synergy after completing an incident, then this is the solution for you. Once the incident is closed all time registered that is billable should create an invoice in Exact Synergy for the billable time. Calculation of the costs are done in Synergy based on the amount of time and Itemcode. To set up the link Synergy needs to be accessible from TOPdesk and a Synergy account with enough permissions needs to be available to create the invoice. TOPdesk can help with adjusting this solutions if your use case is different but we have limited knowledge of the Synergy API so having an Synergy consultant to help will be necessary. Total duration of registered time cannot be more than 24 hours in this use case. If this is needed an adjustment needs to be made.